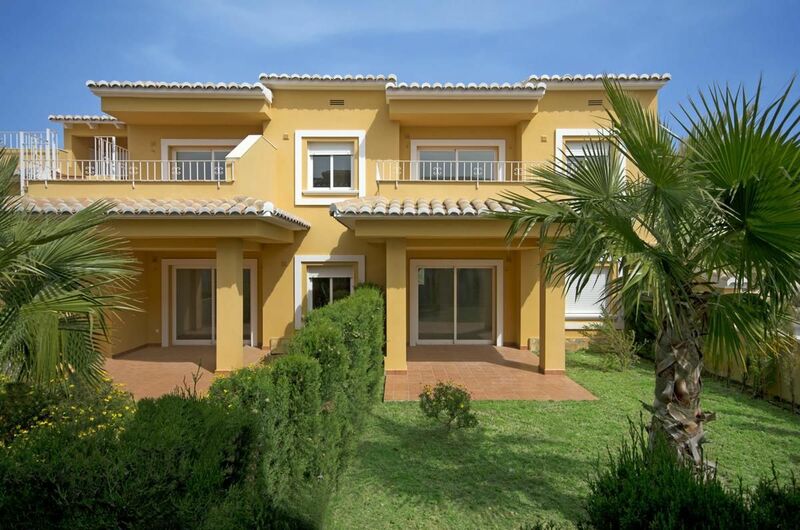 Charming two bedroom apartment for sale in a lovely urbanisation in Cumbre del Sol. The apartment of 80m² features a american kitchen opening to the lounge and dining area with window doors that lead to the covered and open terrace. There are two spacious bedrooms and a bathroom with bathtub in this apartment. 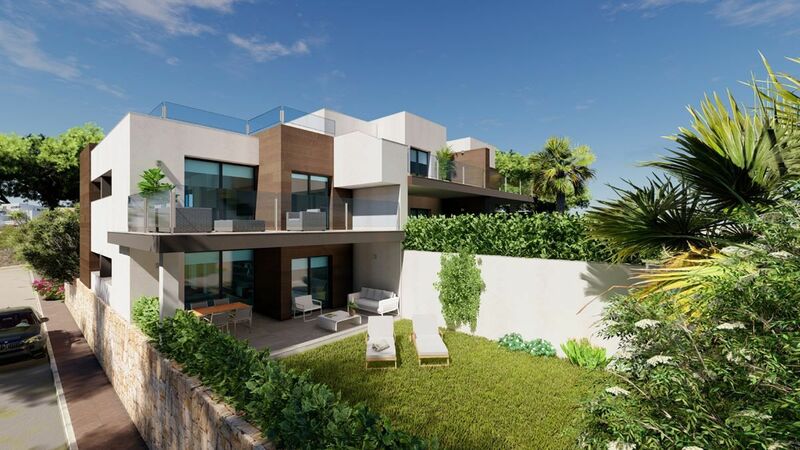 The urbinisation features a beautiful comunual pool area and is in walking distance to shops, restaurants as well the beach. Original ground floor apartment in Benitatxell, in the city centre and with all services around. The outdoor area is very special since it has a delightful outside covered terrace and a fantastic courtyard, where, besides a beautiful garden decor, have a barbecue and a wooden house which is currently used as a library. A large hall gives way to a bright and very spacious lounge from you can access to the terrace. The kitchen has a useful laundry aswell. In the House there are three double bedrooms, one with en-suite bathroom and in addition there is a full guests bath. To complete the offer is sold with a large garage with easy access and a storage room next to it. Don't miss the opportunity to visit this special property. 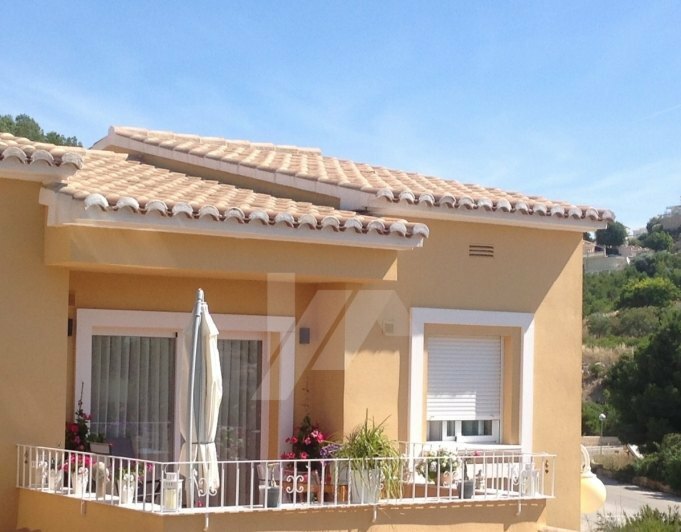 Villa for sale in Benitachell in the urbanization Los Molinos, located in the upper area with panoramic views. Built on two floors plus an underground with possibilities of extension. Consists in the main floor living room with fireplace, kitchen and toilet on the lower level it has 3 bedrooms and 1 full bathroom. Private parking for several cars and space for private pool. Communal area with swimming pool. 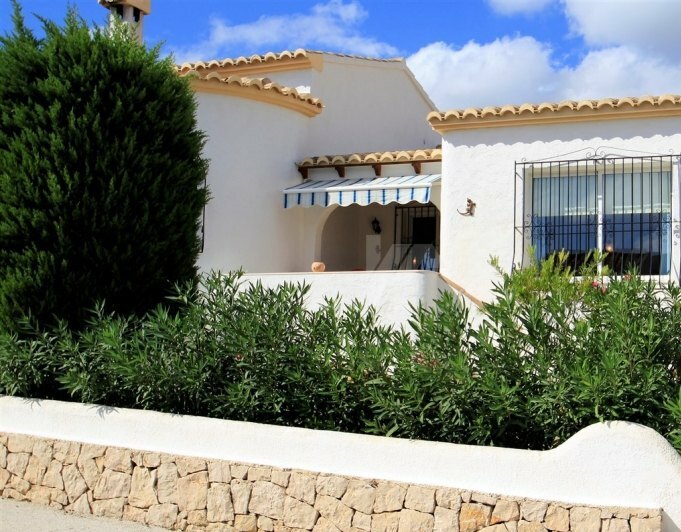 This apartment is in Benitachell city centre and close to the most beautiful surroundings of the Costa Blanca. From the main entrance to the building you walk down a long corridor that leads to the apartment. As this is the only door at the end the corridor is almost private and decorated by the owner. The apartment has two bedrooms, one bathroom, kitchen with laundry room, spacious living room. From here you access the terrace and garden. On the terrace there is a door for the third bedroom with bathroom that are separated of the main leaving area. This is ideal for more privacy and as guest room. In the garden there is a wood house used now as an office. The apartment has also an underground parking place and a storage room. The area is very quiet and peaceful. 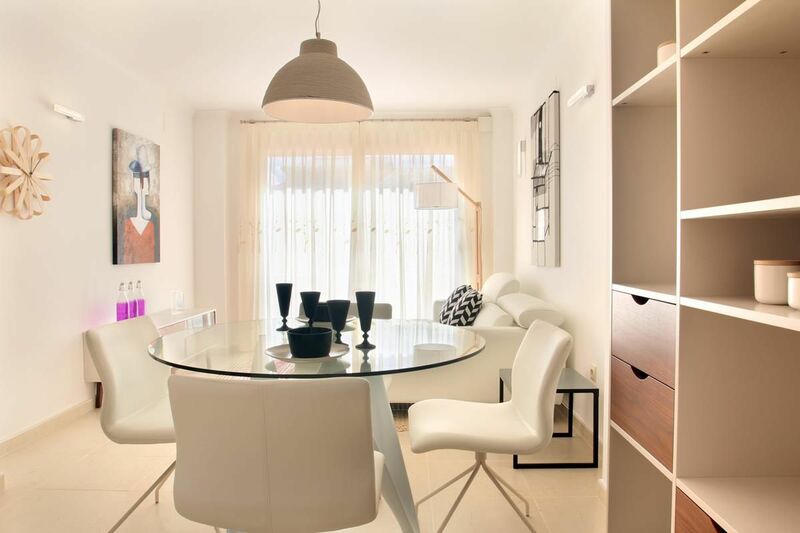 In the immediate vicinity you find the Social Centre, Health Centre, Heated Town Swimming Pool, Supermarket, Restaurants, Bars, Schools, Etc.The apartment is located in the city centre at a walking distance from supermarkets, bars and restaurants. The Javea Golf course is 3 km away. The closest beach is at 6 km from here. The shopping mall El Portal de la Marina is at 20 km distance. The Alicante airport is only 93 km and the Valencia airport is 130 km by car.Private interior garden and terrace, quiet and peaceful location, ground floor, A/A, wood house, separate room with bathroom, in total 3 bedrooms and 2 bathrooms, underground parking and storage room, PVC double-glazed windows, BBQ, elevator, etc. New built apartments, with a modern architecture, with 2 bedrooms and 2 bathrooms, kitchen open to the living room, with various models to choose from, terrace and garden on the ground floor apartments, and solarium on the top floor, all distributed to make the most of the space, taking advantage of the Mediterranean light and offering a plus of comfort in your day to day. 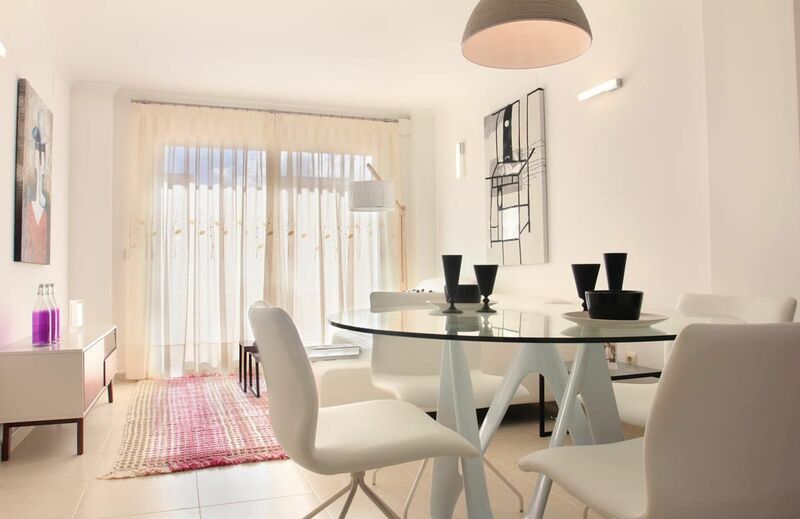 The equipment in the apartments are also oriented to comfort with under-floor heating, hot and cold air conditioning by conduits with thermostat in the living room, hot water by Altherma system, electrical appliances are included and a project of decoration to give them style and warmness. The communal areas are designed for relax and enjoy as a family, with pool surrounded by large terraces to enjoy the sun, playground for kids, social club, gardens and parking areas. 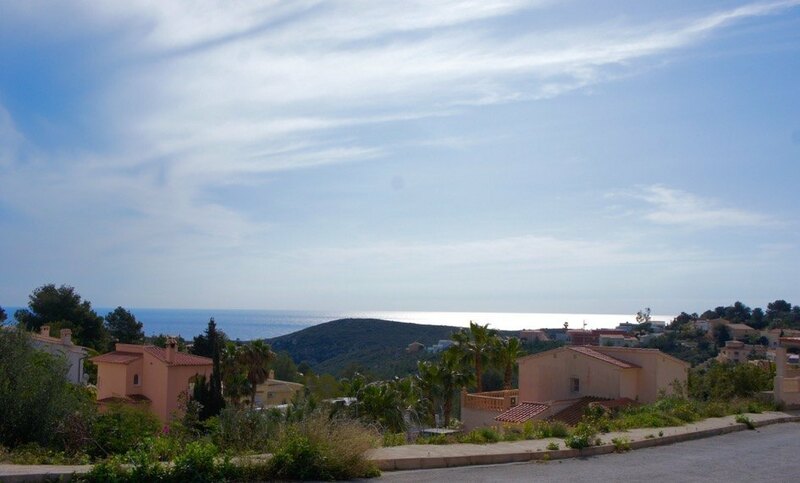 Within a short distance to Cala del Llebeig, the urban core of Moraira and all the services that Residential Resort Cumbre del Sol is equipped with.